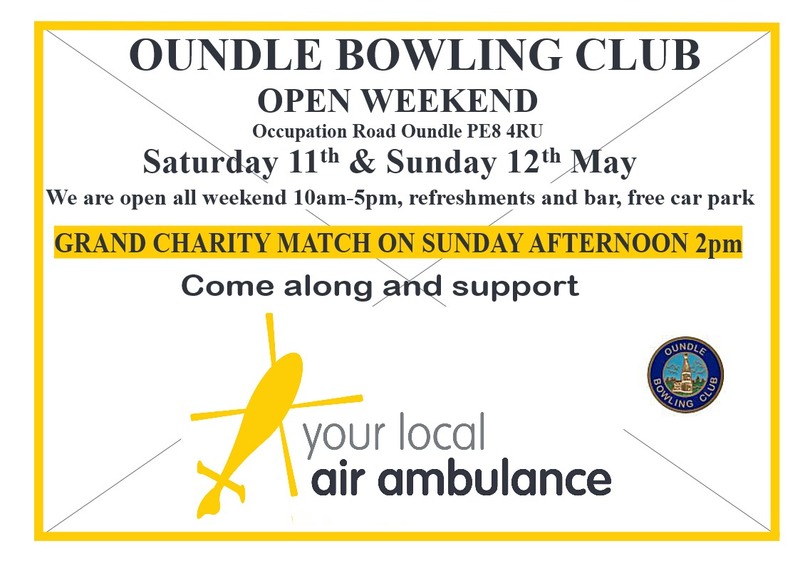 Its not long now to go before our annual Open Weekend, where we invite everyone to come along and try lawn bowls. This year, in aid of our President’s charity the Air Ambulance, we will be holding our Charity match on the Sunday afternoon. All are welcome to come and watch amateur teams from local organisations have fun and try to win the Charity trophy. Visitors will receive the customary warm Oundle welcome from our enthusiastic Club members. If you have never tried Bowls before this is your chance to have a go. Club coaches will be on hand to get you started in the great sport of bowls. All equipment is provided, just wear flat shoes or trainers.